The site is a drain lining in Tamworth, New South Wales. Prior to treatment, the soil type was typical of the area – prone to erosion. 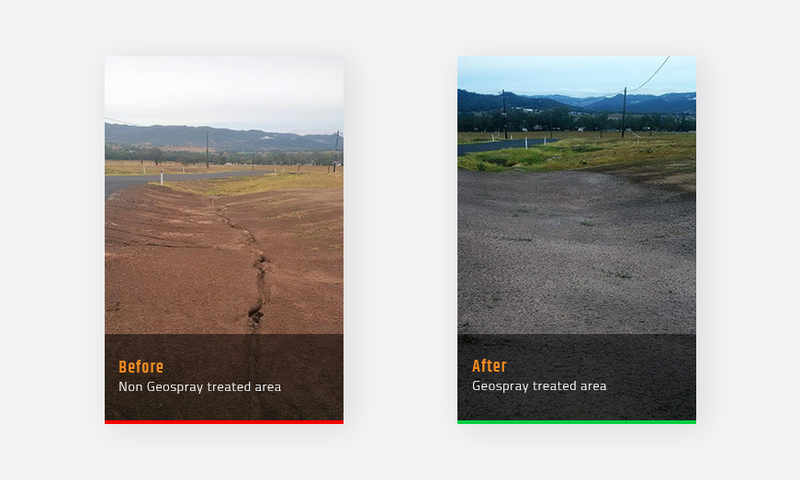 Our spray on erosion-control product, GeoSpray Original, was applied in a comparison trial at a rate of 2.5 kilograms to each m2. 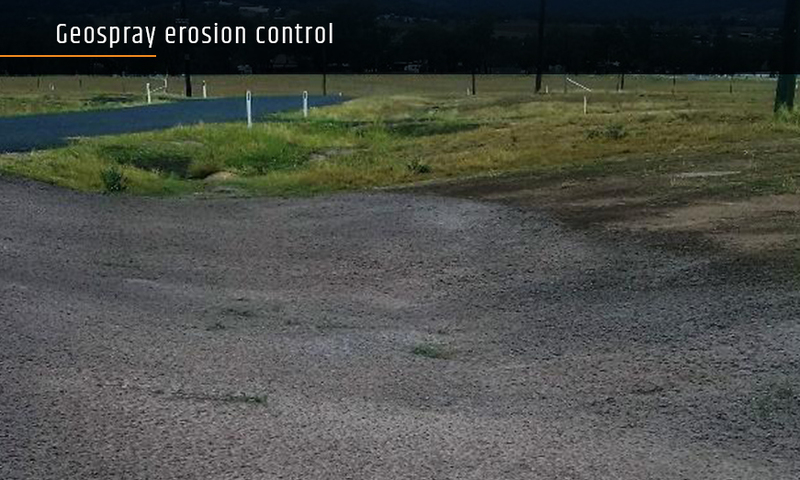 After a single 50mm rain event, GeoSpray proved an effective erosion-control method in regard to overland flow.